The beautiful thing about a trip in Ireland is that nowhere is too far away to visit. You can travel from the top of the country to the bottom in just 7 hours! Strandhill is 7km away from Sligo, which is served by a network of national roads to the north (N15), south (N17) and east (M4). Strandhill is only 2½ hours from Dublin by road, 3 hours from Belfast and 45 minutes from Knock airport, so what are you waiting for? For those without a car, an option is to take the train from Dublin to Sligo and watch the world go by as you make your way to our hidden gem. Or jump aboard one of the many Bus Eireann bus routes from all over the country. There are two routes to get to Strandhill from the main M4 motorway. The first turnoff for Strandhill is “Exit S1” about 6km before Sligo town. After taking this, about 3.5km later you will come to a roundabout where you should turn left. This will take you along a windy road around the back of the mountain, with amazing views of the seal colony on Culleenamore. Care should be taken as the road gets quite narrow and dangerous at times. This route will lead you directly to the Top Road or Carrowbunnaun. The more direct route is to continue to Sligo town and turn left at the second traffic lights, where you will pass the Sligo bus and train station on your right. Travel straight for 5.6 km, passing through 2 more sets of traffic lights. 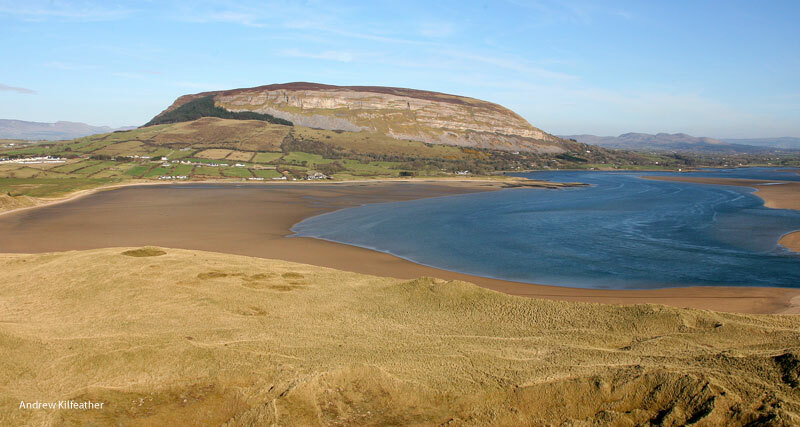 Before you reach Strandhill, you will be greeted by an amazing panoramic view of Coney Island and Rosses Point. You will come to a small roundabout just before the village. Stay to the left here for the Top Road, and head right for the bottom or Shore Road. Trains depart every day of the week from Dublin to Sligo return. When you reach Sligo train station, walk down the steps and across the road to the Spar shop where the bus to Strandhill departs at designated times. Alternatively you can jump in a taxi which should cost around €12 during the day but up to €18 at night. Sligo can be reached by bus from various parts of the country, including Dublin, Donegal, Belfast and Galway. When you reach Sligo bus station, walk down the steps and across the road to the Spar shop where the bus to Strandhill departs at designated times. Alternatively you can jump in a taxi which should cost around €12 during the day but up to €18 at night. The closest commercial airport to Strandhill is Ireland West International Airport at Knock, only 45 minutes away. There is a shuttle bus from the airport to Charlestown, where you can connect with a bus to Sligo. There is a direct bus from Dublin Airport to Sligo town operated by Bus Eireann. Sligo Airport doesn’t have any scheduled national or international flights.